The Harriet Beecher Stowe House, located in Cincinnati, Ohio, was built in 1832. Harriet’s father and his large family moved into the house when it was completed. Harriet stayed there for extended periods several times over the next few years. She began her writing career at that point as well. A year later, Stowe traveled to Maysville, Kentucky, and witnessed a slave auction. The frustration she felt was one of many experiences that inspired her to write her book “Uncle Tom’s Cabin” several years later. Though nowadays Stowe is fully recognized for her work using her own name, in the 1800s she published much of her work under the pen name “Christopher Crowfield”. 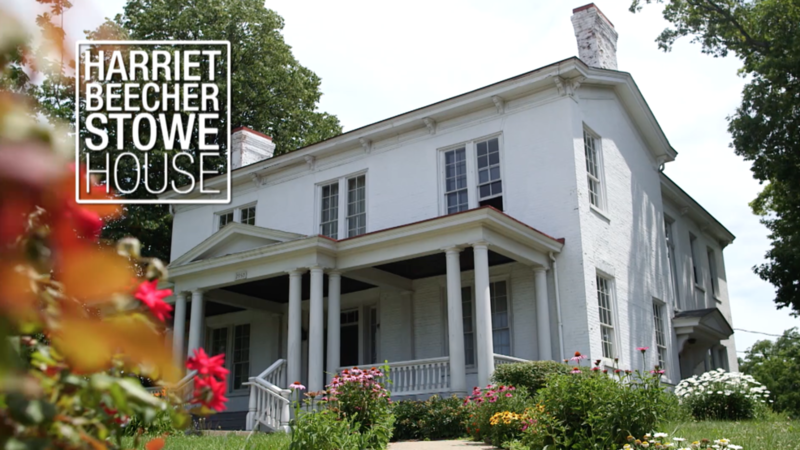 The Harriet Beecher Stowe House is owned by the Ohio Historical Society, which is investing heavily in bringing the house back to it’s original aesthetics. Tours are available Fridays, Saturdays, and Sundays from Noon til 4pm. The cost is $4 for adults, and $2 for children.